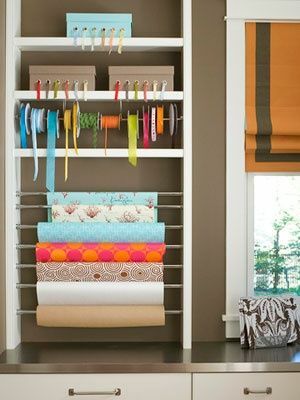 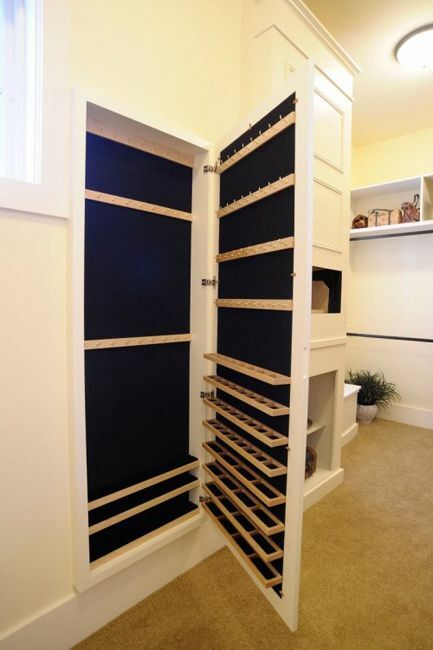 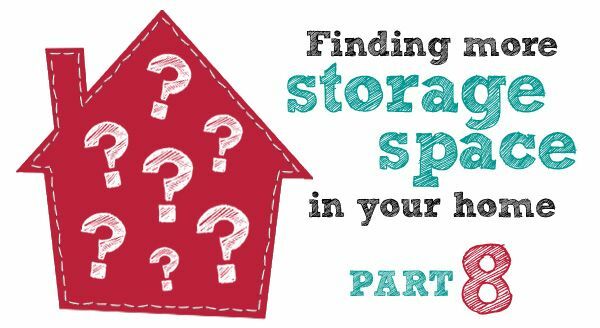 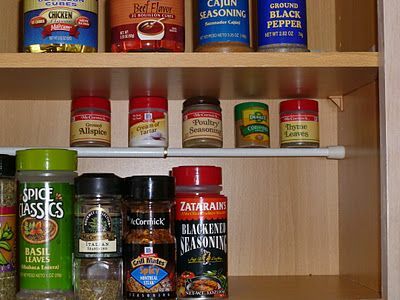 Moving away from vertical storage ideas, we will now look at how tension rods can help you organise, and finding nooks in your home in which you can add storage. 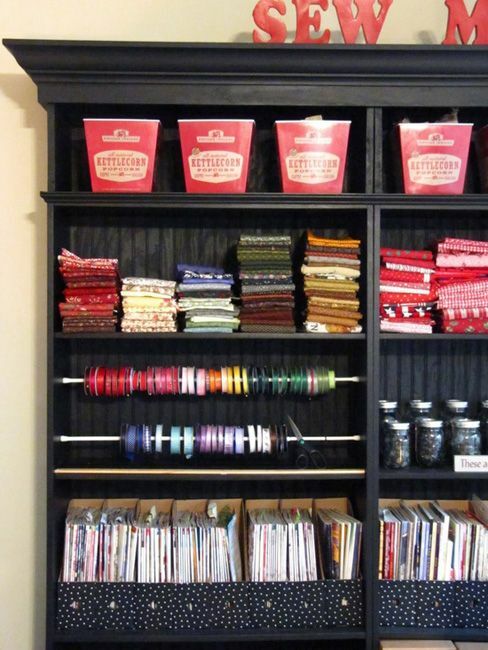 Tension rods aren't even sold in New Zealand (I know!) 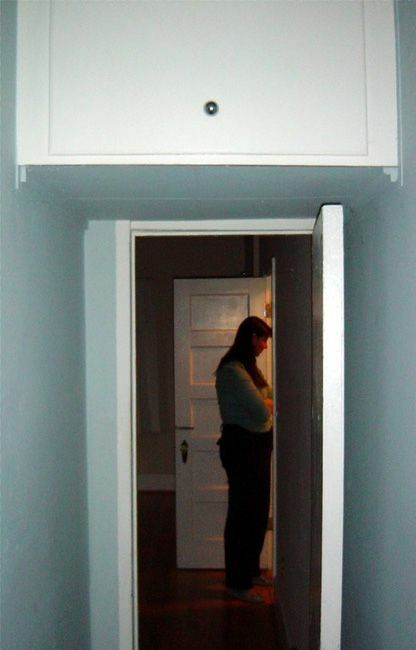 - or not that I've been able to find anyway. 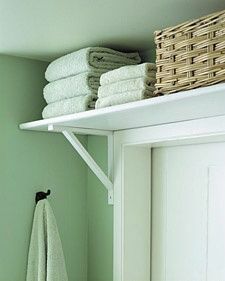 But if you can get hold of them, they are useful for so much more than just hanging curtains. 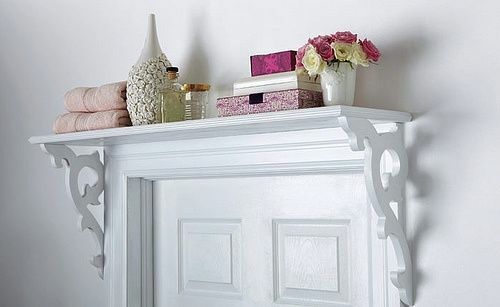 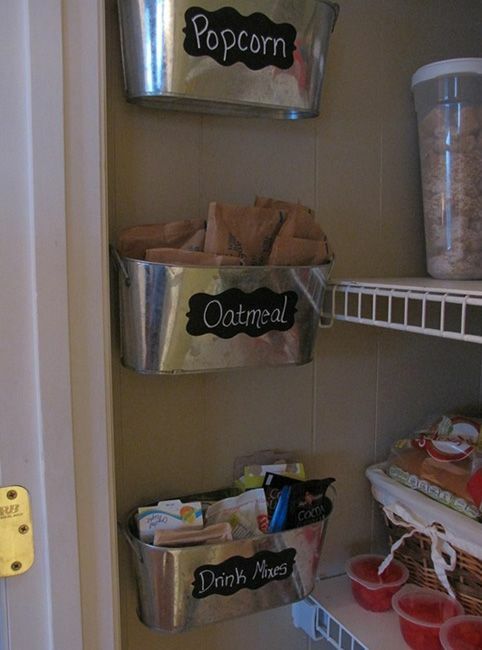 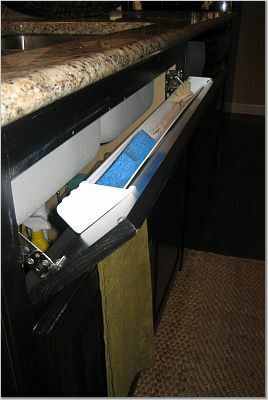 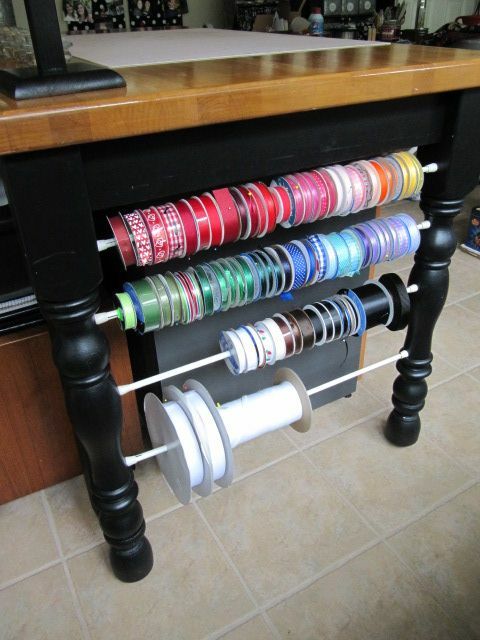 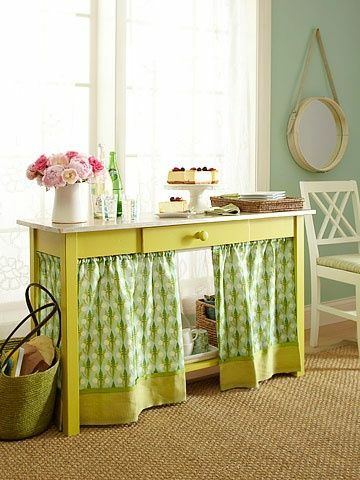 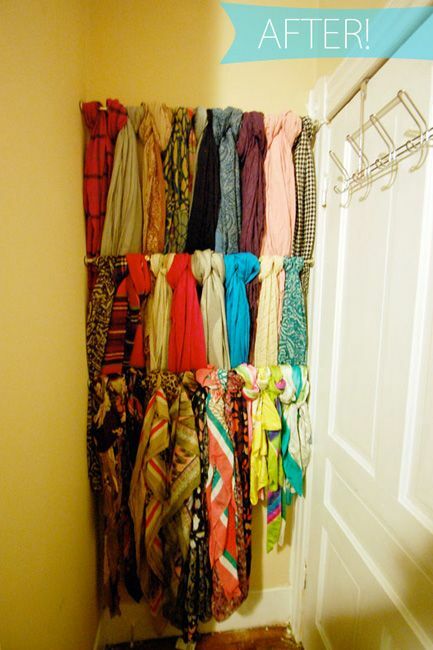 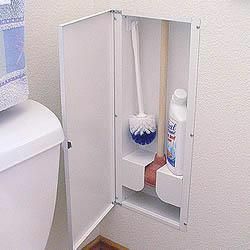 They are inexpensive (just search on eBay) and temporary - no need to drill holes in your walls or cabinets. 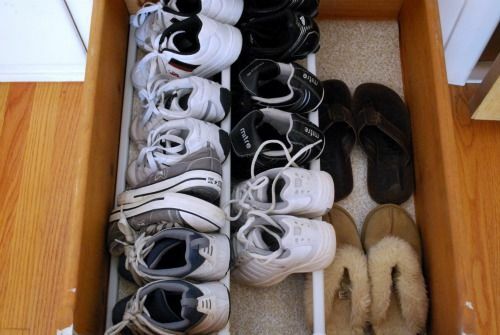 Here are some ways they can help you organise. 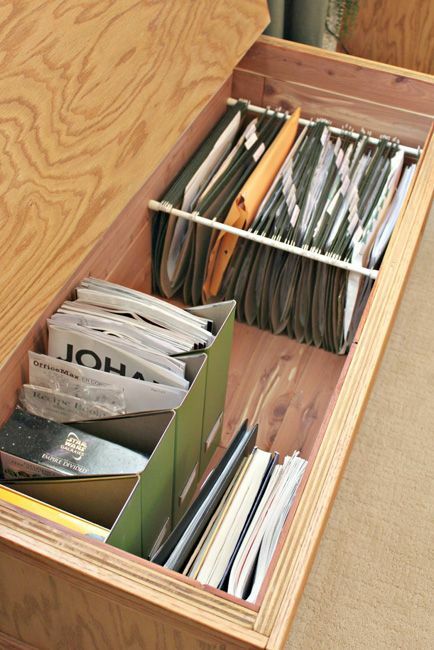 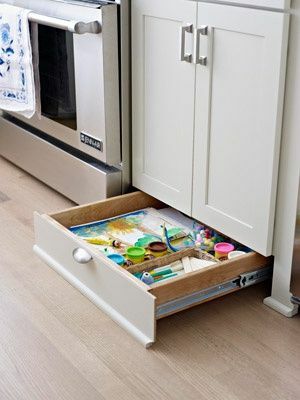 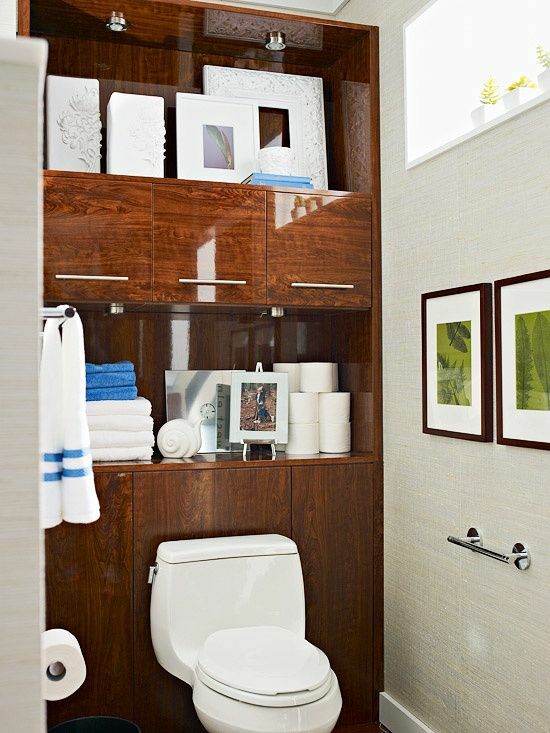 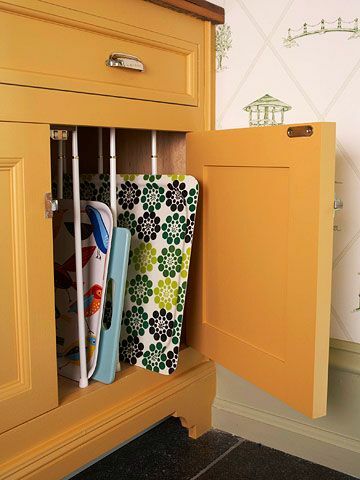 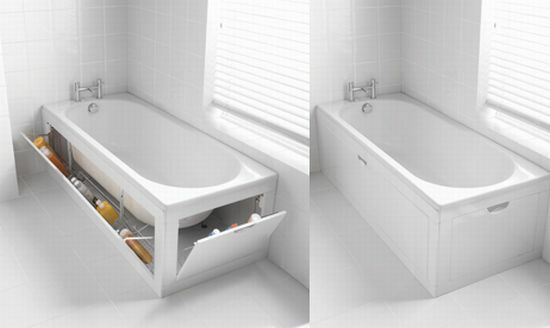 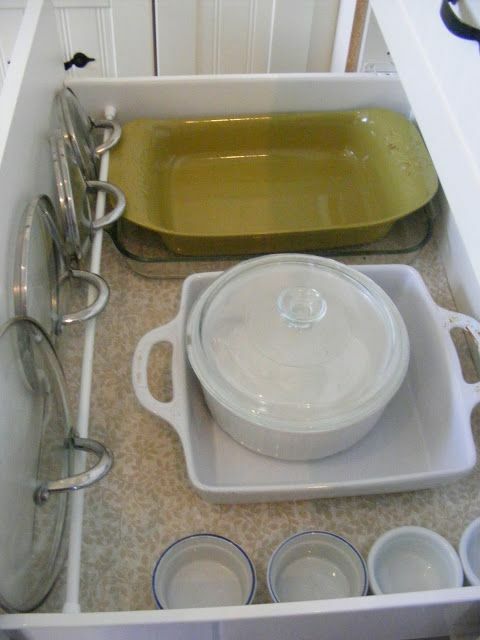 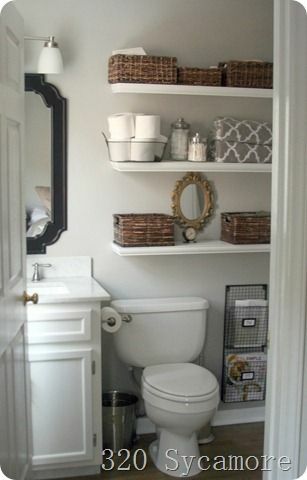 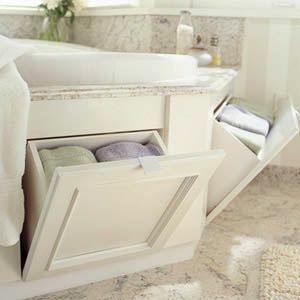 Built in storage is great for maximising any little nook or cranny you can find. 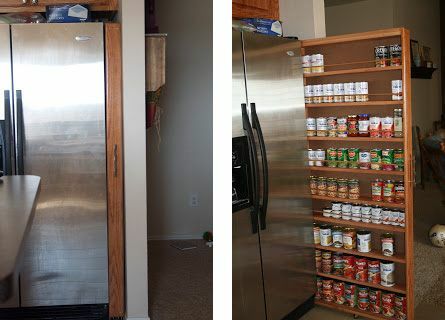 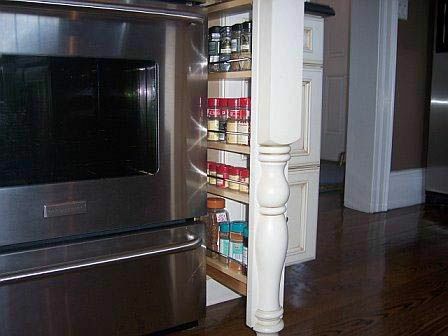 By built in I mean purpose made cupboards, simple shelves or pre-made cabinets that you install. 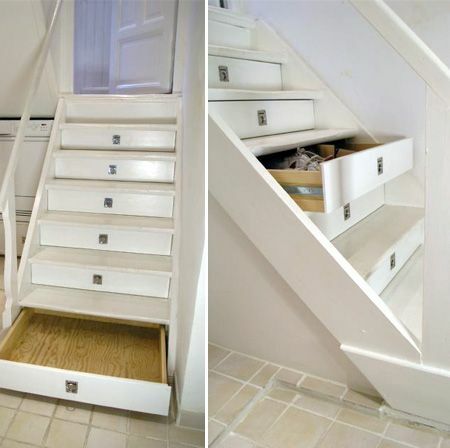 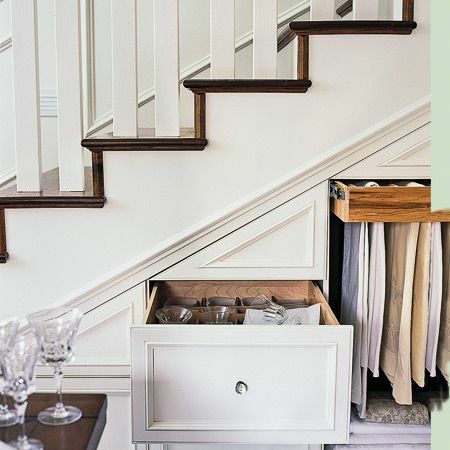 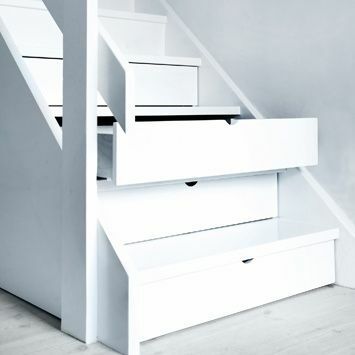 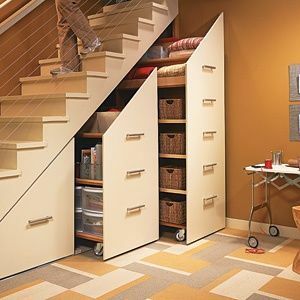 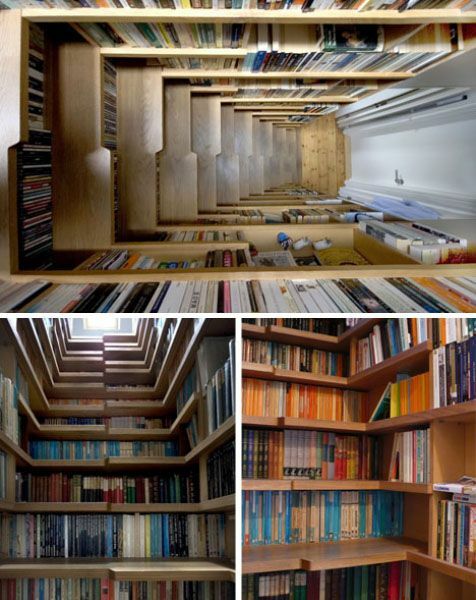 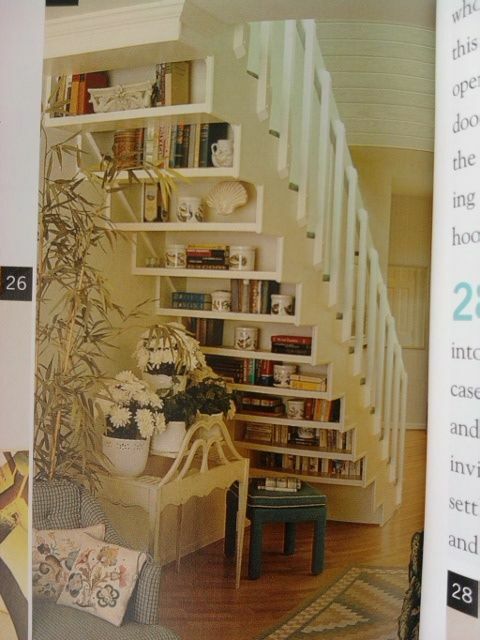 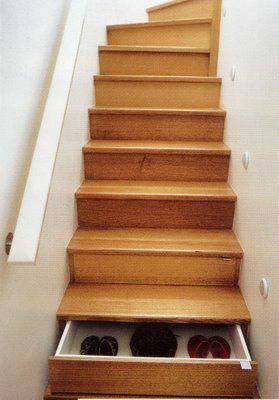 Of course homes without stairs have all kinds of nooks too. 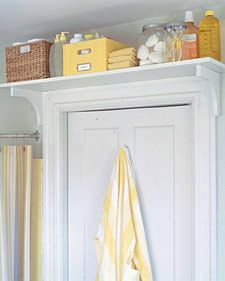 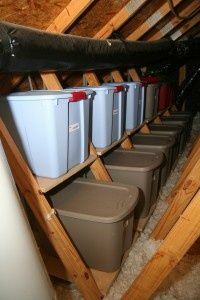 Look above your doors for some storage space. 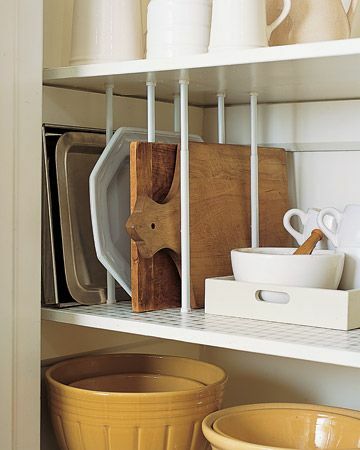 A single shelf can hold quite a lot, especially if you make use of pretty boxes or baskets. 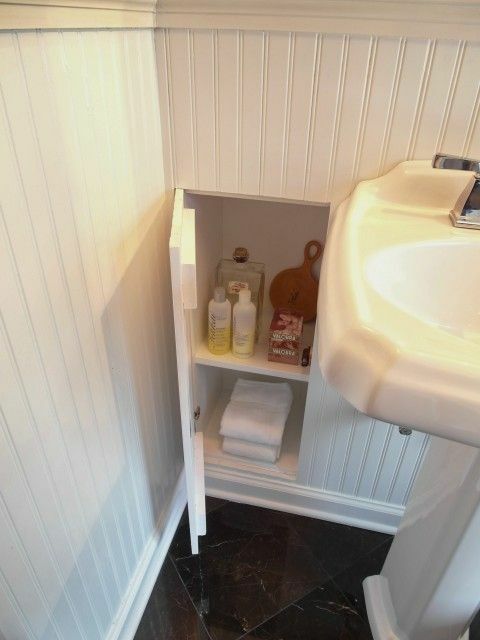 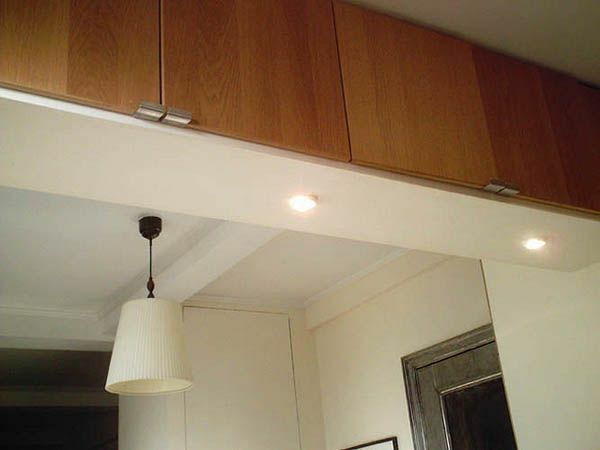 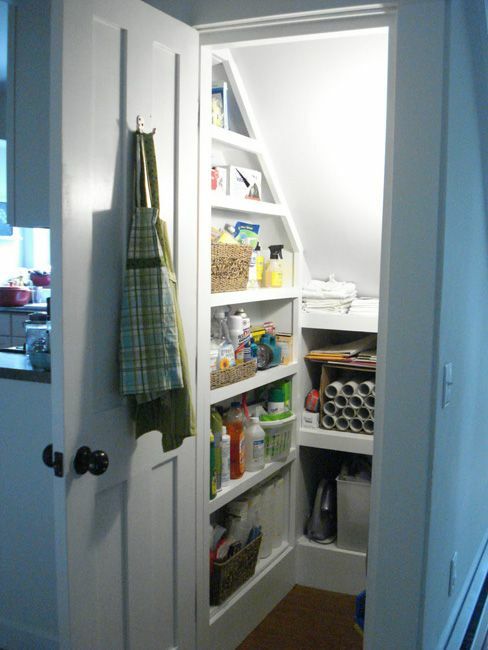 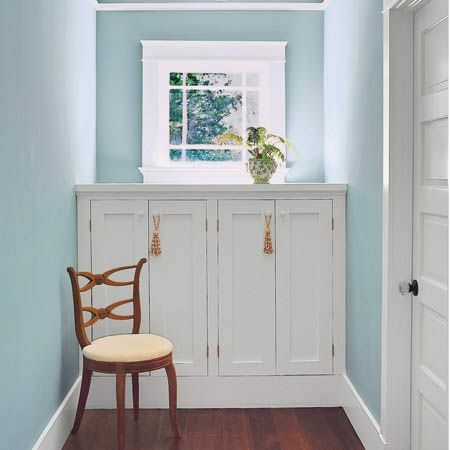 Or why not install an entire cabinet above a door or in an archway if it's high enough? 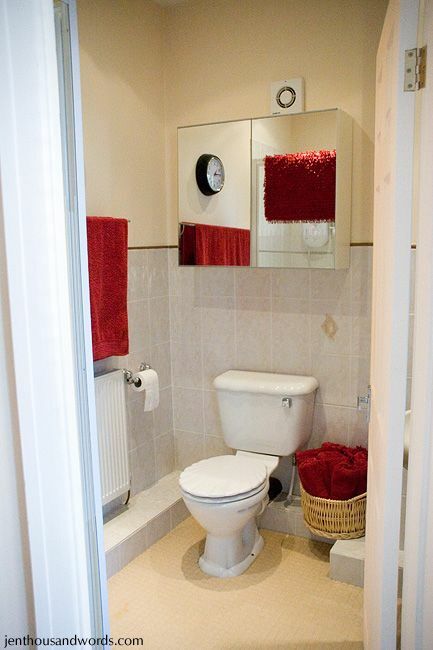 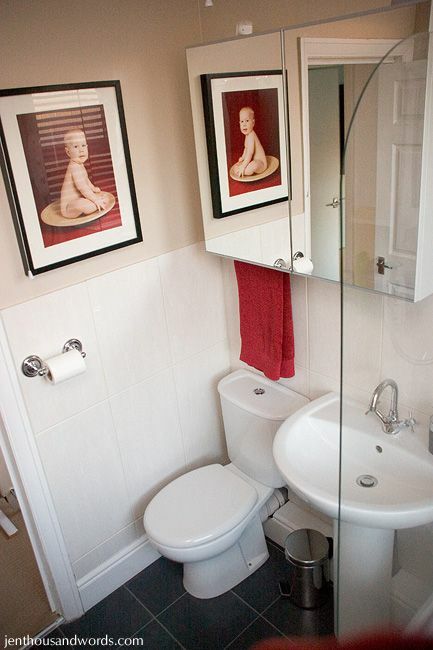 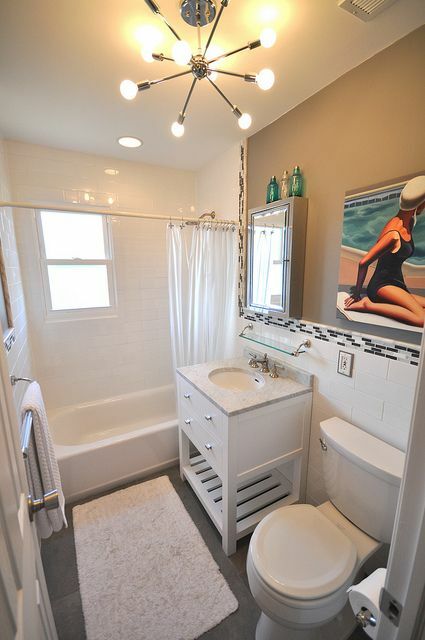 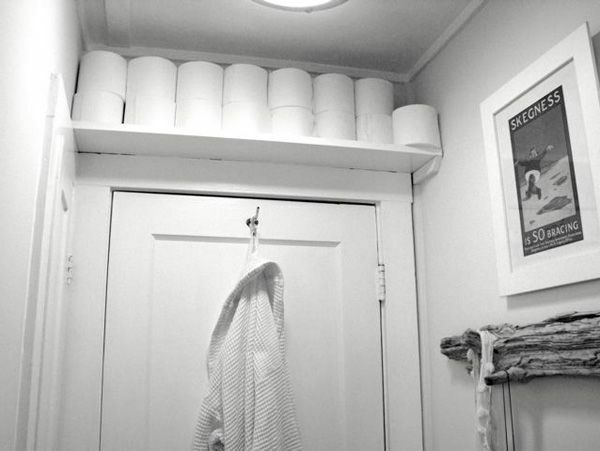 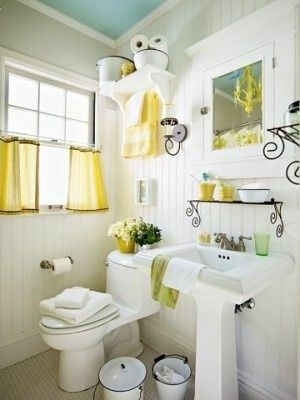 Moving into the bathroom, don't forget to maximise the space above your basin, end of the bath and toilet. 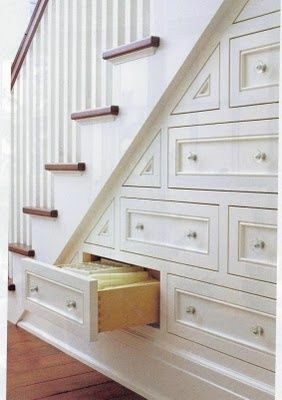 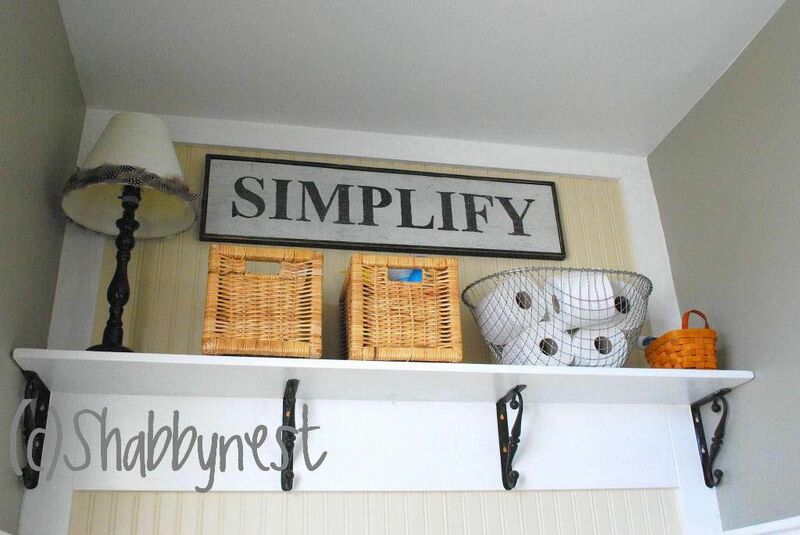 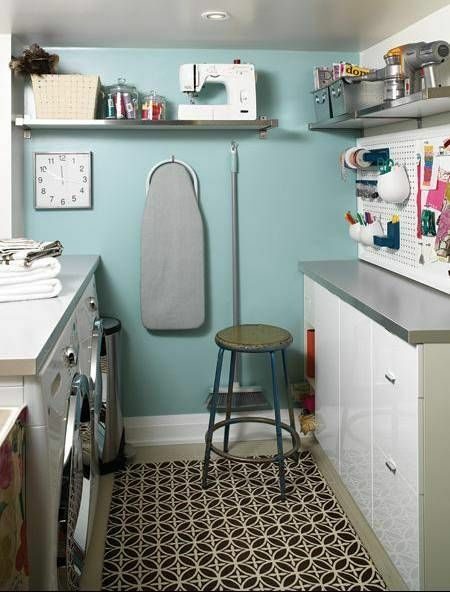 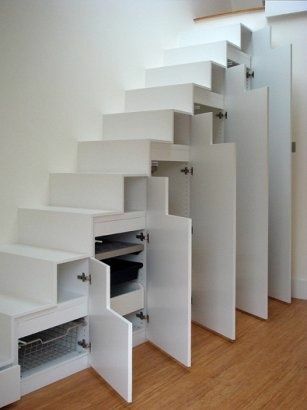 You can add cabinets or shelves for storage. 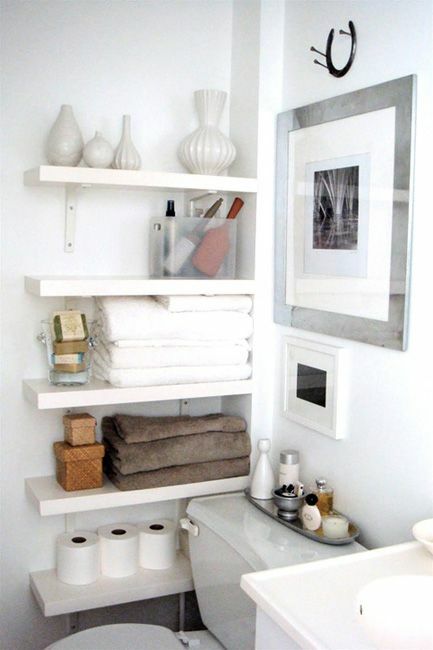 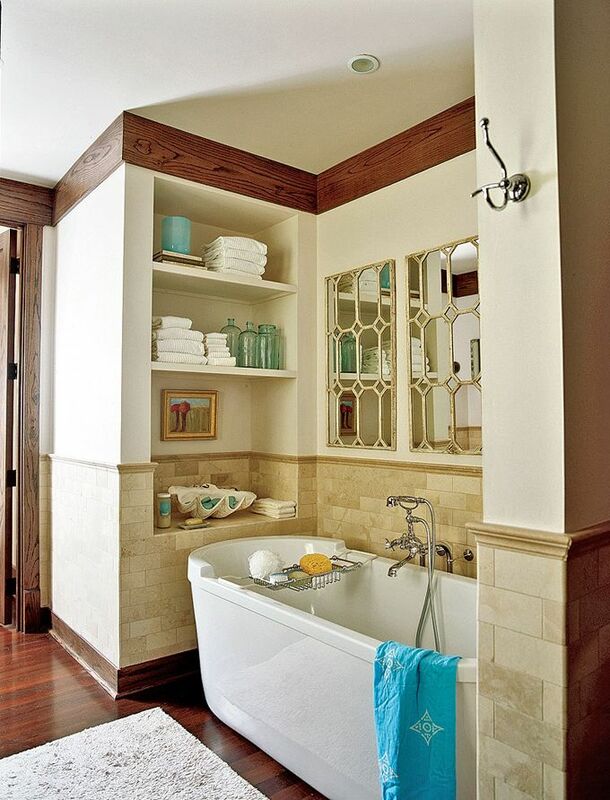 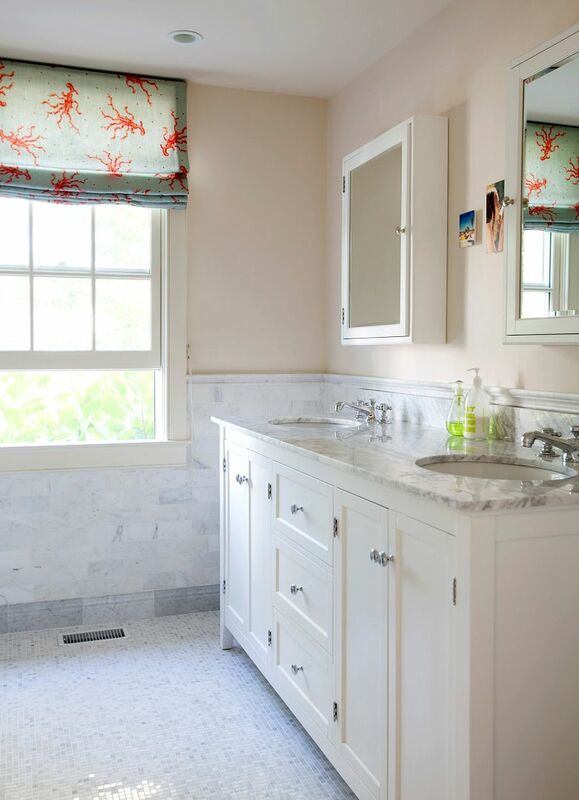 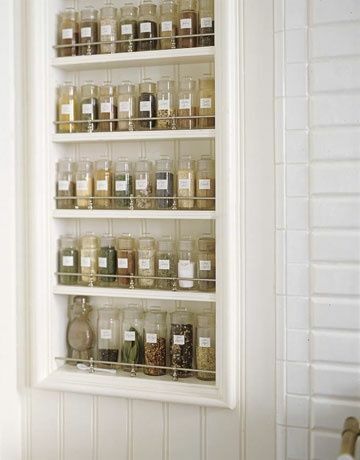 If you already have a mirror above your basin why not make it a mirrored cabinet?